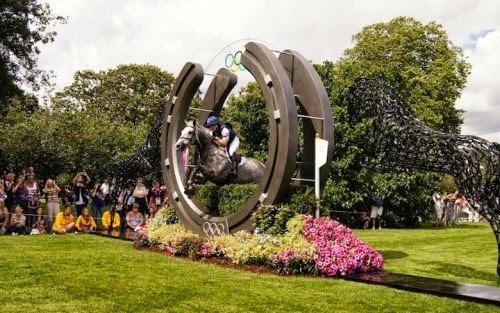 The Rolex Kentucy 3-Day Event is the most well-known eventing competition in the US and is the only 4-star (highest level there is) eventing competition in the western hemisphere. Competitors come from all over the world, and this year there’s a total of 81 entrants. Last year we had 3 riders from California (see my 2013 Rolex CA Rider preview post here, and recap post here) and this year we have all 3 returning, plus 5 more, for a total of 8 (yes, eight!) riders from California!! Debbie operates Wild Ride Eventers in Somis, just 20 minutes away from me! 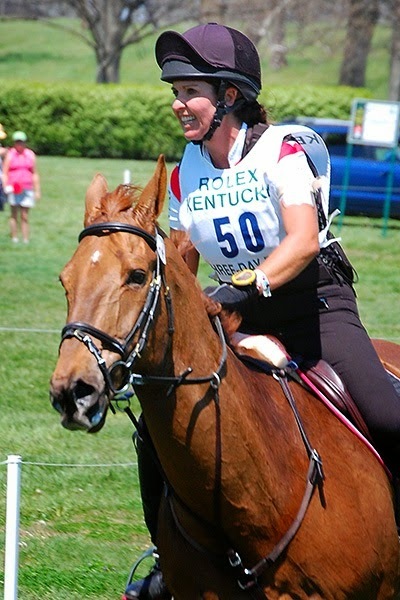 This will be Deb and her horse Al (The Alchemyst)’s 5th trip to Rolex together. Al is a big Canadian-bred chestnut gelding, with breed listed as Sport Horse (does that mean Canadian warmblood?). I had the pleasure to audit a clinic of hers last year, and hope to clinic with her this season. Debbie is known for her amazing smile during all her rides – seriously, she looks absolutely blissful headed down to those giant jumps! She is certainly a favorite of mine. Bunnie is another favorite. 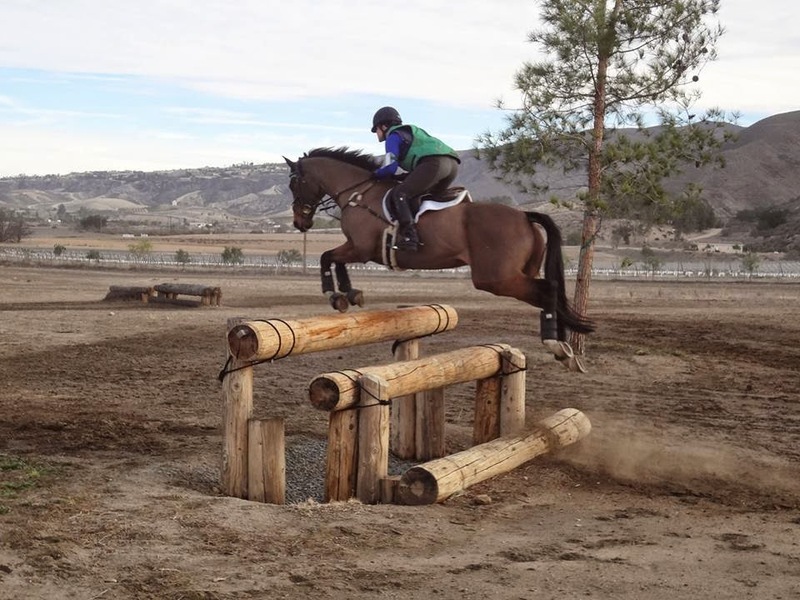 She operates Shepherd Ranch Eventing in Santa Ynez. This will be her and Ecko (Rise Against)’s first trip to Rolex and their first 4-star event! Ecko is a beautiful bay thoroughbred. Check out this EN article about them. Bunnie, who is fabulous in her 50s, is proof that you can reach the highest levels of the sport even after you think you’ve passed your prime competitive years! She is such an inspiration. I’ve met her a few times, and she is very welcoming and extremely humble. Through the famous London Olympics horseshoe jump. Tiana is currently based in England, but hails originally from Ojai which is about 25 minutes away from me. Finn (Ringwood Magister) is a gray Irish sport horse gelding. 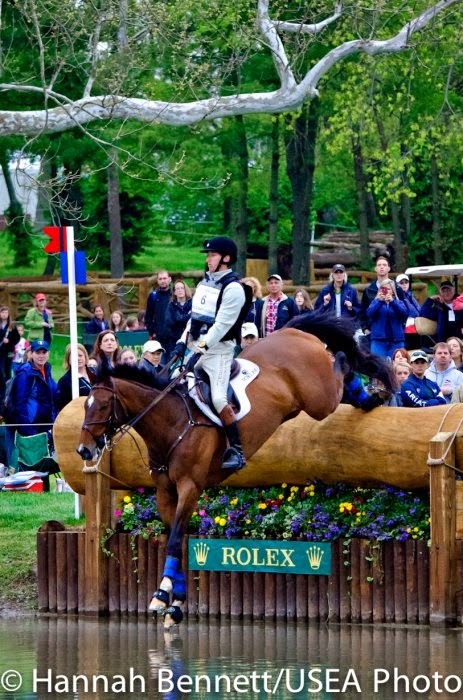 Tiana and Finn represented the US at the 2012 Olympic Games, and have a number of international competitions under their belt, though this will be just their 2nd time competing at Rolex. I’ve met Tiana only once, but she struck me as a very nice and hard working gal. This will be Jolie’s 3rd trip to Rolex, and 2nd time there aboard Ari (GoodKnight), a bay Selle Francais gelding. They won the 2012 Rebecca Broussard Endowment Grant and used it to compete at the Luhmuhlen 4-star event in Germany last year. I haven’t met Jolie personally but she sure is an elegant rider, and I’ve heard nothing but compliments from friends who’ve ridden with her and Tracy at Kismet Farms. This will be Jennifer and Billy (High Times)’s first trip to Rolex and first 4-star competition together. Billy is a stunning black Holsteiner gelding. Jen and her husband Earl operate Dragonfire Farms, which has always piqued my interest as they breed Morgans in addition to doing eventing training and riding. Little horse. Big jump. No problem. Hawley is probably the most famous California rider, though she represents Canada at international competitions. 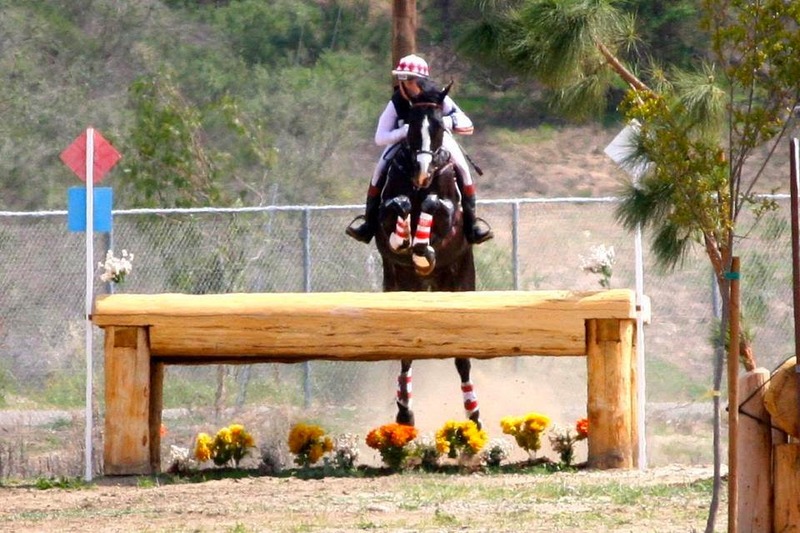 She operates Hawley Bennett Eventing out of Kingsway Farm in Temecula. 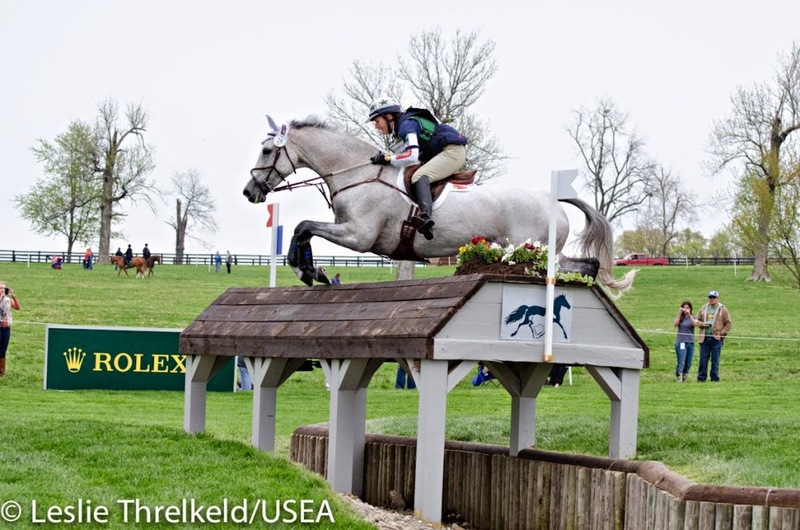 She and Ginny (Gin & Juice) are headed to Rolex for the 3rd time together – last year they placed 7th! They’ve done quite a bit of international competition – in fact, this is their 7th 4-star event! I had the privilege to clinic with Hawley earlier this year, and I’ve watched them compete numerous times. Ginny is an adorable bay Thoroughbred mare. Hawley lovingly refers to Ginny as her “pocket rocket” because she is small (15.3) but go-go-go! Kristi operates Kristi Nunnink Eventing out of Next Star Farm in Auburn, CA. 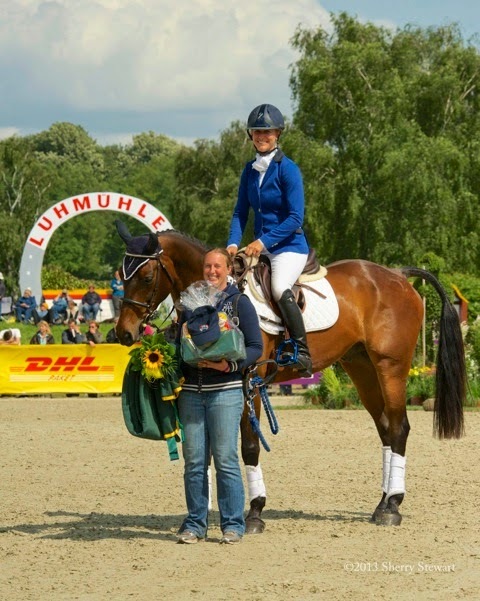 This will be her and her horse Rosie (R-Star)’s 5th time at Rolex – last year they placed 8th! Rosie is a beautiful gray Holsteiner mare. They competed at Pau, France last year and are constantly in the top placings at West Coast events. James operates James Alliston Eventing and is a partner in East Bay Riding Academy. Last year James took 3 horses to Rolex, and this year he is returning solely aboard his horse Parker, a bay Thoroughbred gelding. 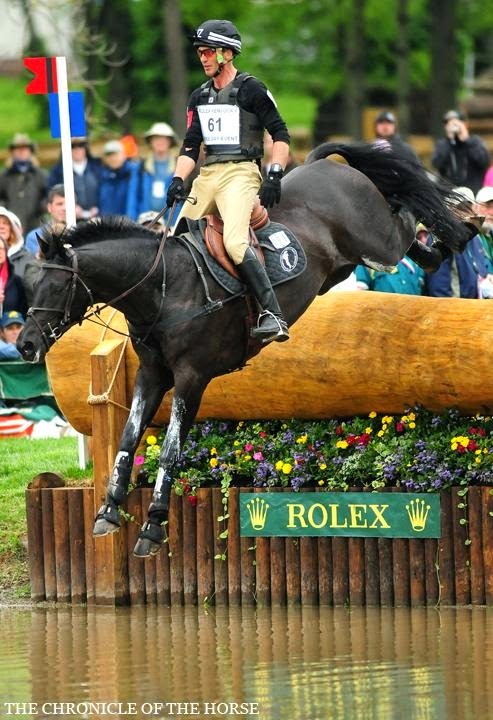 This will be their 4th trip to Rolex together – last year they they finished 14th! James represents Great Britain at international competitions, and I’ve had the pleasure to watch them compete numerous times. Woohoo California riders! I’ll be rooting for ya!! Ohhh.. I liked the article on Bunnie! I hope she and her OTTB do well! Thanks for sharing this info, it makes me wonder who is coming from my part of the map. Sport Horse is Canadian Sport Horse – it just means they were approved and one of their parents is registered. Doesn't matter what. Anything can get in though, I have seen some pretty ugly horses that are CSH. Love the Alchemist though! Yeah its nice to root for the home team, so to speak! Hehe sounds like the American Warmblood situation. Pretty much everything qualifies. Lots of West Coast action this year!